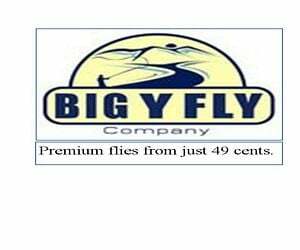 Ed Ward, Skagit Casting Legend, aka RiverAddict on Speypages posted the following comment on Speypages in response to this blog post about the constant motion, continuous load, Ed Ward Skagit casting style. Thank You, Ed Ward, Skagit casting guru for taking the time to respond to linespeedjedi.com. I really appreciate your taking the time to share your insights about the Ed Ward Skagit casting style you are perfecting. (Constant Motion/continuous load) SOMEWHERE on the internet a couple/few years ago. Unfortunately, where exactly I don’t remember. Basically it shakes out to, after having discussed extensively, the subject online through a couple of different casting related websites and after having made a very clear vid of myslf casting in slo-mo, I have conceded that the “Continuous Load” part of the CM/CL is not accurate. In fact, in my own Micro Skagit vid on YouTube, the rod can be seen to most definitely unload during the transition from the backstroke of the Sweep, to the forward stroke of the forward cast. Ed Ward, Skagit Casting pioneer plays with a micro Spey: Above. However, it is also plainly evident that from the beginning of the Sweep, all the way on through to the end of the forward cast, that excepting for cast #6, which is a screwup, the entire “system” of rod and line maintain a taut/tensed status completely throughout that portion of casting process. The rod never deflects to a completely “negative” state and the line never “converts” to a neutral, overcome-by-effects-of-gravity condition. In other words, there is never any “slack” in the system. So, if one were to replace the term “load” with “tension”, then my “take” on this casting process would be correct. In my “somewhere on the web” discussion of revising the CM/CL theory, I explain that my understanding of the casting process has been derived mostly from “feel” and that, coupled with determining through years of experience, those terms that most successfully conveyed to other peoples the necessary visualizations for executing Skagit casts, is how I arrived at my descriptions of Skagit castng. So, knowing this/that, it should be apparent that the terminology may not be technically correct, yet it is very successful for conveying the necessary “knowledge” about the Skagit casting process. Sometimes technically correct doesn’t mesh well with “real world semantics” of us humans. Above: Ed Ward explains his style of Skagit casting. Maybe the CM/CL theory should better be called „CM/CT“ (Continuous Motion / Continuous Tension) to avoid some missunderstandings ?! Thanks Tobias. I agree and even posted that on Speypages in one of my comments. Of course, since pausing is an option it could be called IM/CT Intermittent Motion / Continuous Tension. Intermittent definition: Occurring at irregular intervals; not continuous or steady. Synonyms sporadic, irregular, fitful, spasmodic, broken, fragmentary, discontinuous, isolated, random, patchy, scattered…Hmmmmm…On second thought forget it. That’s starting to hit a little close to home! It is possible that by not applying enough force during certain phases we (meaning all of us) set ourselves up for larger hand and arm movements in an attempt to add energy or tension that should have been “built in” earlier in the sequence. The larger hand and arm movements can become a compensating move, a “make-up” that we do reflexively, and a “tell” that something isn’t right elsewhere in the cast. I agree, a “tighter” casting box and more compact movements would have helped you here–good self diagnosis! Exactly. Thanks for this response! These videos of me casting have been a great help in analyzing my technique hand getting help from others. Thanks for that. Don’t be too hard on yourself, the casts flew out fine with no appreciable shock waves. Both casts shown could have used a bit more “juice” in the sweep to the rear (a simple matter of properly balancing the amount of force between the rearward and forward strokes), and that would leave the casts pretty much perfect, in my opinion. As far as the anchor “sinking” on you–yes if it sinks under a simultaneous loss of tension, I could agree that would be “creeping”. If you feel full tension in your hands through out however, that doesn’t fit the definition of creep (rod movement while the system is not under tension). If others define creep differently in order to better understand or explain their own casting styles, so be it. Thanks Greg, good to hear from you on this. Totally agree that I need a bit more juice in the sweep. Possibly it would help if I stayed tighter in the box. That’s a pretty old video and I think all of the Scandi practice I did all summer will help somewhat with keeping my hands more in front of me and keeping the hand movements smaller. I do rarely blow an anchor but I think I need to push the envelope more.